A market overview from Angus von Schoenberg, Chief Investment Officer – TrueNoord. Boeing and Airbus announcements always dominate the headlines in Paris or Farnborough so trends in the regional aviation scene can often fall under the radar. However, this year’s show and some events that were announced shortly beforehand, revealed a number of noteworthy items. Although just a small segment in comparison to narrowbodies, new milestones were achieved in the turboprop sector. In previous years ATR has grabbed the lion’s share of orders, but Bombardier’s Q400 scored significant wins this year. Its 86 seat variant secured an LOI for up to fifty (25 orders and 25 options) from India’s resurgent Spicejet. The Indian regional market is not only growing organically but is also benefiting from measures to encourage regional connectivity introduced by the Modi government. This comes on top of ATR’s earlier announcement of an equally large order from Indigo. Philippine Airlines also converted options for another seven 86 seat Q400s in addition to the five it has already ordered. Furthermore, Ethiopian announced the addition of a further five Q400s and CemAir in South Africa is set to become a new operator of the type with an LOI for two aircraft to complement its Q100 and Q300 fleet. By comparison, ATR secured an order for two ATR72-600s from Air Senegal, but its smaller rival the ATR42-600 scored two orders in China. Shaanxi Tianju committed to ten to operate in the north western Xinjiang province and Xuzhou Hantong Corporation inked an LOI for three to be operated by Reignwood Star. Regional jet orders were also active, although in some cases the end users were not announced. 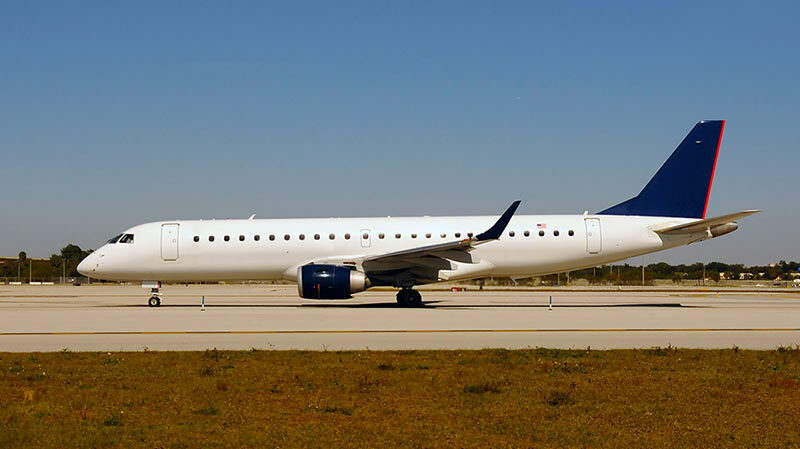 These included three additional Embraer E-175s for Fuji Dream plus a further three options. JAL ordered an additional E190 for its J-Air unit. Belavia is to increase its fleet with an additional E-175 and one E-195. Finally KLM Cityhopper confirmed its intention to remain with an E1 fleet for the moment by ordering two additional E190s. Embraer announced two new E2 orders, both were from undisclosed operators. One comprised ten E195-E2s and ten options, with a second for twenty E190-E2s. One of the earlier adopters of the C-Series, Russian lessor Ilyushin Finance Corp (IFC) announced at the show they have signed a framework agreement with a currently undisclosed airline for six CS300 on operating lease. While the large regional jet market is still slow in gaining much traction, there is perhaps a surprising level of interest emerging in the smaller turboprop sector. Manufacturers are finally beginning to address the aging fleet of 30-50 seat turboprops which are increasingly approaching the end of their economic lives. Thus far Bombardier has taken the approach of introducing a life extension programme for the DHC8-100 that enables the aircraft to fly up to 120,000 cycles. This was based on a need for a quick solution for certain operators and the premise that few carriers operating this type of aircraft could afford new equipment. However, ATR is now finalising its evaluation of an ATR42-600S with enhanced short take-off and landing (STOL) capability. The aim is to match the performance of the DHC8-100/200 that enables the aircraft to take off and land on 800m runways. ATR believes there is potential for 600 aircraft over the next twenty years to replace aging STOL aircraft. Embraer has also hinted at its interest in a potential future turboprop development dubbed the “E3”. Embraer has not specified whether this would be a large turboprop or a sub-50 seater, but John Slattery, CEO of Embraer Commercial Aviation has commented on this in the context of the ATR42 plans. It also seems unlikely that Embraer would want to develop a turboprop of a similar size to its smaller E-jets. Although not a new announcement, there are also plans to relaunch a new version of the Dornier 328 to meet this market need. Finally, Indonesia’s IAe is also developing a civilian variant of the CN-235. Another trend in recent years has been the accelerated growth of aircraft on operating lease in the regional market. Some years ago the manufacturers aggressively expanded relationships with lessors in the regional market and, in some cases, encouraged large lessors to take positions in regional aircraft. In some cases, their portfolios have been sold to regional specialist NAC. Today, the regional manufacturers are refocusing their sales campaigns towards airlines. Meanwhile, all manufacturers have established dedicated teams to work with the leasing community. While not a new team, ATR has recently announced a strengthening of its leasing group while Embraer already has its group in place. Bombardier has also strengthened this function. The role of these expanded manufacturer leasing groups is not only to assist with the placement of lessor commitments for new aircraft, but to more actively manage the transition of existing used aircraft. These had, to some extent, been neglected since the time when all regional manufacturers disbanded and sold off their own captive leasing vehicles, either on a piecemeal basis, or as larger portfolios in the 1990s and early 2000s. There is no suggestion that any will rebuild ‘captive lessors’, but the objective is to facilitate and grow the market for mid-life and end of life leases. TrueNoord believes this is a positive development. 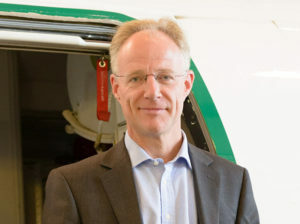 The OEMs are not going to compete as a lessor anytime soon (or at all) but they clearly see the benefit of encouraging the development of the used aircraft market, stimulating liquidity by facilitating deals, so that more capacity to sell new aircraft can be created at the top of the chain. This strategy is seeing some positive results with, for example, the successful placement of a limited number of E-jets in Africa. TrueNoord observes that some specialist lessors and aircraft placement agents are focused on the African market. There is a movement starting to re-equip African operators with better, more modern equipment, to serve the needs of a growing middle class in some countries. Time will tell if this succeeds, but if it increases demand for older E-Jets coming off their first lease, this will be good for the marketplace in general and for TrueNoord, as a specialist regional aircraft lessor with a growing E-Jet fleet.